What is Japan Farm Auction? 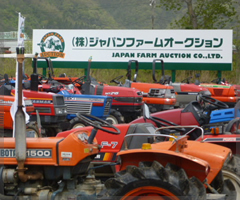 Biggest agricultural machinery auction in Japan! Japan Farm Auction is a biggest agricultural machinery auction in Japan that is possible to access both internet action site and actual site for the inspection. Main exhibition venue is in Tottori city, Tottori. You can bid at the venue while inspecting actual agricultural machinery collected all at once from the sellers. 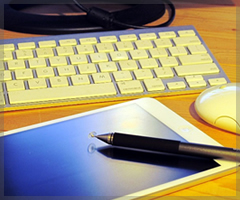 Alternatively, buyers can bid from the internet in case of the purchase from a distant place. Actual auction items and past bidding information are available on the JFA auction website. JFA recommends equal opportunities for both sellers and buyers. To prevent from installation of stolen items and false-name bidding, JFA undertakes management for sellers and bidders. JFA has established know-how on methods of international trading. There is an extra charge for international trade, however, We welcome international customers to join our auction. What is the difference between 3 types of auction? Tender Auction is closed bidding (bidding group). Please tender a bid higher than reserved price. 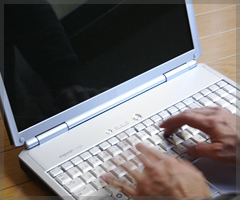 You can choose from 3 types of bidding (internet / FAX / onsite bid). 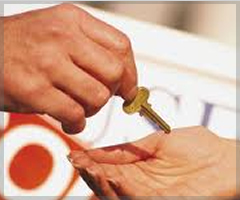 You cannot check other buyer’s bid credit until bid opening when bidding duration is over. However you can check the existence or non-existence of bidding via internet. This internet auction is the same bidding type as major internet auction website. If you prefer actual items, you can inspect them at the exhibiting place. It is possible to repeat bidding while you are checking best bid of the moment. This website also has an automatic bid system. By setting amount limit of your bid, you can bid automatically within the amount limit. 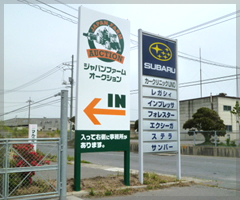 You will bid at the venue of Japan Farm Auction in Tottori city, Tottori. It is also possible to proceed bid in parade auction from remote location via interlocking website system. Our staff will introduce all lots with at the exhibition site. Visitors can also bid from their own laptops and tablets. Please check the range of available items on our auction website!